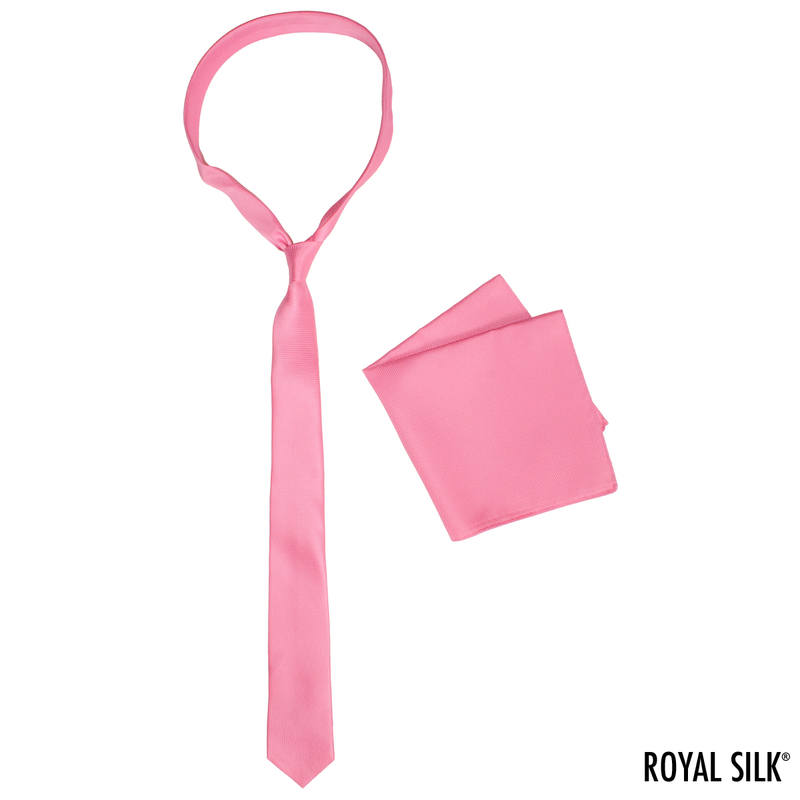 A solid silk tie is a must-have male wardrobe essential. The classic colors are obviously red and black. For the youthful, stylish man, we stock the popular post-modern skinny version that is 2.5� wide x 60" long. This sharp two-in-one set gets you a look that is smart, cool and sophisticated. 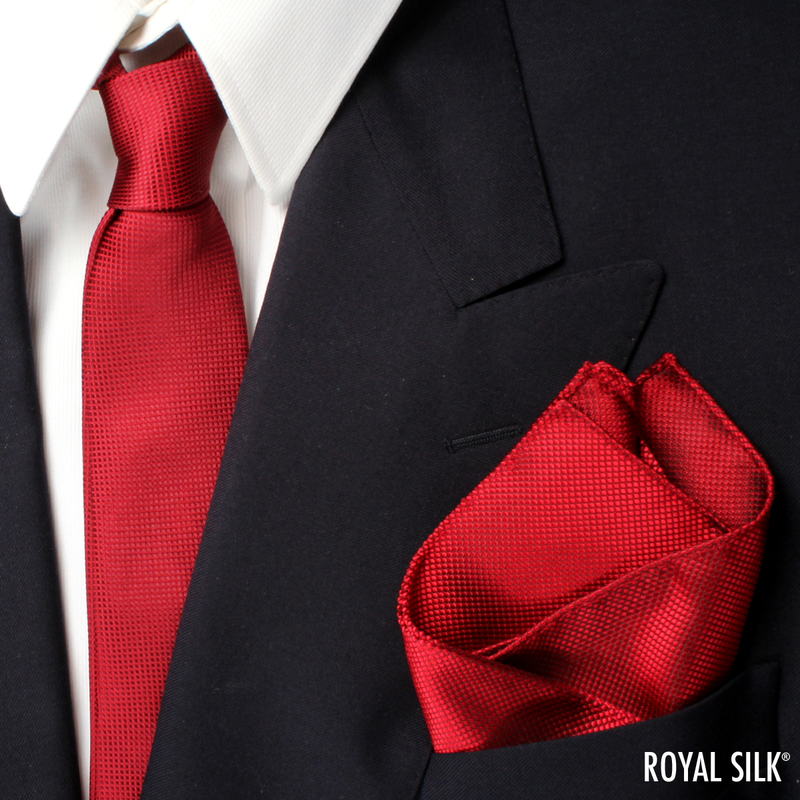 This sharp two-in-one set gets you a look that is smart, cool and sophisticated. 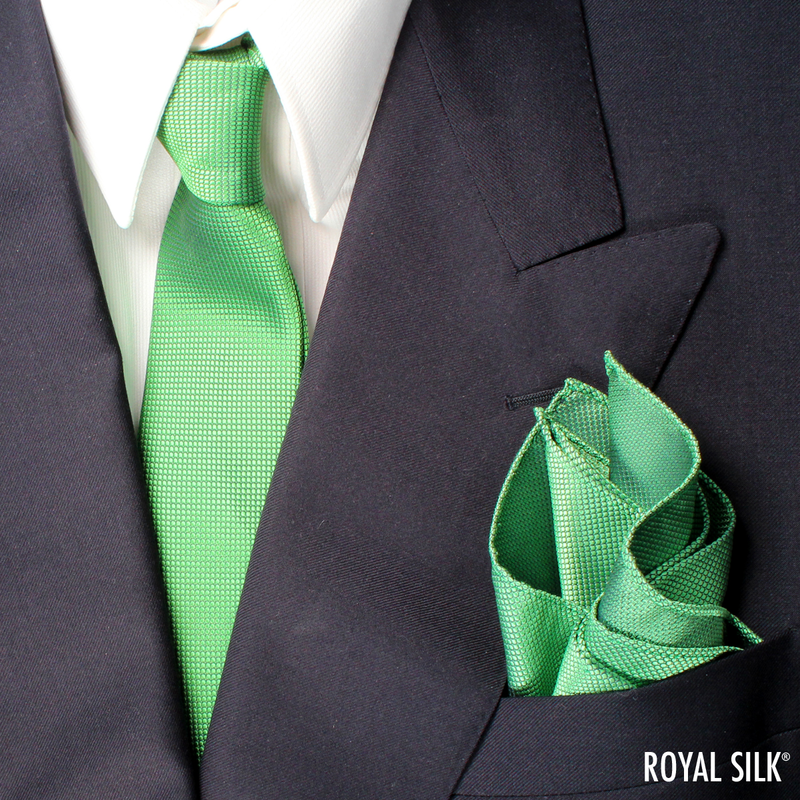 And the eye-matching, eye-catching silk color gets you the delight of zest, zing, and zap. 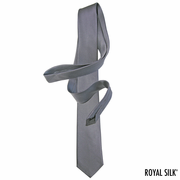 There is no better tie set at this price, size, and quality. Guaranteed or your money back. Here�s why: One is the touch, look and feel of the sumptuous 34-momme, six-ply Jacquard Silk fabric. 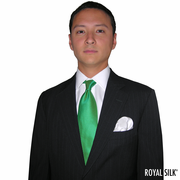 This is about the heaviest weight a luxury silk tie comes in. Next is the rich, luminous glow of the woven design. Other fine details include a longer 60-inch length, pure silk lining, and a self-loop on the reverse side. 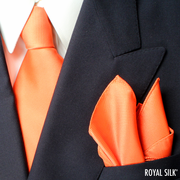 The pocket square is about 14� square. Made in Korea.